Detailed information in defamation laws in 15 Caribbean countries in now included in the International Press Institute’s (IPI) online media laws database. 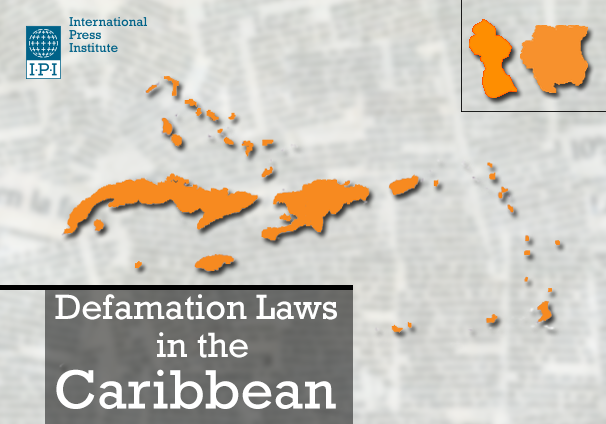 The information reflects data collected by IPI over the course of a campaign it launched in April 2012 together with the Association of Caribbean MediaWorkers (ACM) to reform defamation law in the Caribbean. Since the campaign’s launch, three Caribbean countries – Antigua and Barbuda (2015), Jamaica (2013) and Grenada (2012) – have abolished criminal libel. Additionally, Trinidad and Tobago (2014) partially repealed criminal libel and the Dominican Republic (2014) removed the possibility of imprisonment for defamation from its new criminal code before the latter was invalidated on unrelated grounds by the country’s Constitutional Court. Equally important, however, are reforms that have been undertaken in the sphere of civil law. In the English-speaking Caribbean in particular, much of the statutory law on defamation remains a relic of British colonial rule. In several countries, the libel or defamation acts in effect are essentially copies of the English Libel Act of 1843. Following joint IPI/ACM missions to both countries, both Antigua and Barbuda and Jamaica have completely overhauled their civil libel legislation to more closely reflect international standards on freedom of expression. While imperfect, Antigua and Barbuda’s law in particular, the Defamation Act 2015, is well-positioned to serve as a model for the rest of the English-speaking Caribbean. Among a number of important changes, the Defamation Act 2015 abolished criminal libel; abolished the distinction between slander and libel; provided a non-circuitous definition of defamatory matter; introduced a single publication rule; and provided in statute defences of truth, public interest, fair comment, innocent publication, fair comment and absolute and qualified privilege. Though the Act does not cap compensation in defamation cases, it does require that damages “bear a rational relationship to the harm caused”. The Act states that its three principles objectives are to provide effective and fair remedies for defamed persons; promote speedy and non-litigious methods of resolving defamation disputes; and ensure that the law on defamation “does not place unreasonable limits on freedom of expression”. Country-by-country information on libel law in the Caribbean, and in particular on the status of criminal libel provisions, is now available in IPI’s online media laws database. Currently, 13 out of 15 Caribbean states surveyed maintain criminal libel laws. Most, including Antigua and Barbuda and Grenada, also maintain seditious libel provisions that punish, among other things, “exciting disaffection” against the head of state or the government. Noted as well are laws that IPI has feared could serve as a backdoor for the reintroduction or expansion of criminal defamation provisions. Several Caribbean governments have passed cybercrime legislation that prohibits the sending of vaguely defined “offensive” electronic communications. Grenada amended its law in 2014 following criticism from IPI and other regional and international groups. 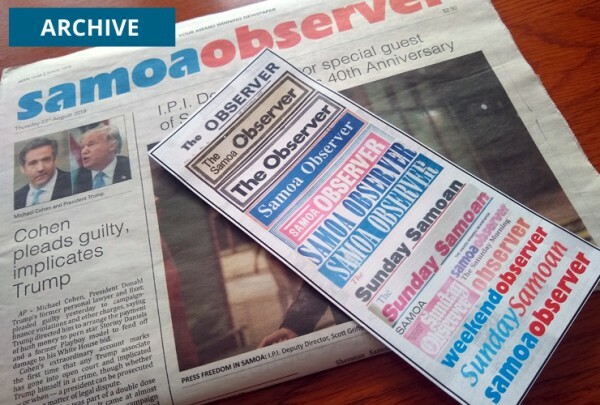 The database also collects background information on IPI and ACM’s campaign, including recent mission reports and the Declaration of Port of Spain on the repeal of criminal defamation and insult laws in the Caribbean. The Declaration was endorsed by IPI members and national Caribbean press associations during IPI’s 2012 World Congress in Trinidad and Tobago. This post was updated on Feb. 23, 2016 to clarify that, in Dec. 2015, the Dominican Republic Constitutional Court invalidated a new criminal code that contained the partial repeal of criminal defamation.